= as low as ?? = $3 each or like getting for 50% Off- Watch for clearance too! = $7.99 for both items after coupons and deal. = $16.98 for all 4 items after coupons and deal. = $17.48 for 16 lb Dry Food, 24 ct Wet Food, and 3 Friskies Treats after coupons and deal. = $15.98 for 16 lb Dry Food, 24 ct Wet Food, and 3 Friskies Treats after coupons and deal. Save 50% off any one regularly priced item at Michael's through Saturday, February 18th with this printable coupon. Make sure to familiarize yourself with Rite-Aid's Coupon Policy before you head out. Final Price unknown but prob close to a money maker! Final Price $0.99 Money Maker! 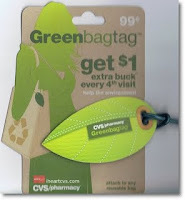 Check out the more than $100 Rite Aid Video Value Coupons available for January! See the coupons available in the February Walgreens Coupon Book.